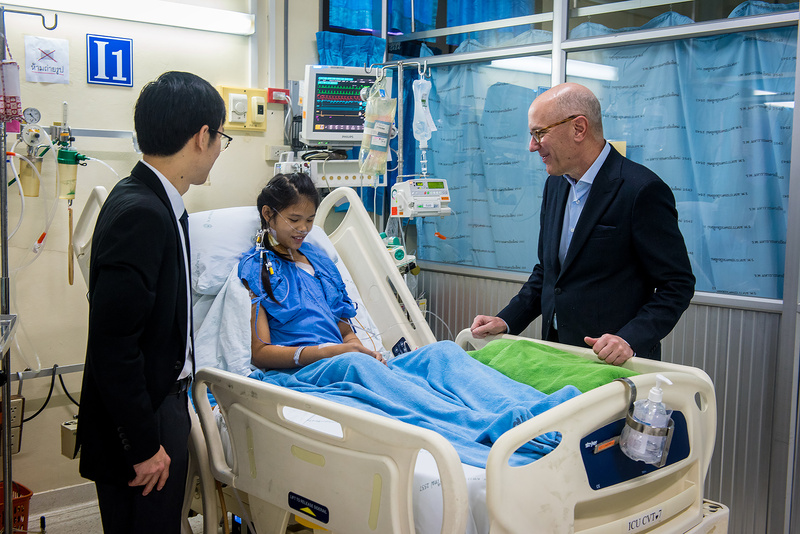 The Mitral Foundation has developed an enduring relationship with Chiang Mai University in Chiang Mai, Thailand. 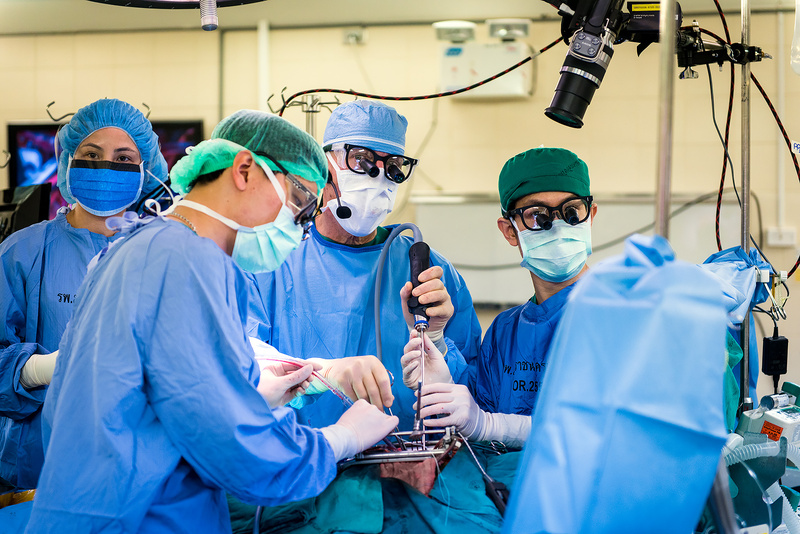 With it's first mission in 2011, and continuing in 2015, and 2017, Dr. Adams and the Mitral Foundation have helped Maharaj Nakorn Chiang Mai Hospital become a regional reference center for mitral valve repair surgery in central Thailand. After operating with Dr. Thitiphong Tepsuwan in 2011, on the first six complex mitral valve surgeries they did together, Dr. Adams invited Dr. Tepsuwan to become the Mitral Foundation's first Stanley Schlesinger Scholarship recipient. As part of the Faculty of Medicine of Chian Mai University, the Maharaj Nakorn Chiang Mai Hospital serves as a training and education center that provides super-tertiary medical care for patients in Chiang Mai province and 17 other provinces in the Northern region of Thailand. As a center for providing medical services, the hospital has developed a collaborative network known as One Region, One Big Hospital (OROBH) among private and public hospitals in these provinces. The hospital provides services in every medical discipline through a number of centers including the Northern Thailand Heart Center, the Northern Neuroscience Center, the Trauma Center, the Cancer Treatment and Research Center, the Respiratory Research Center, and the Lung Health Center. The hospital maintains 1,400 patient beds, 69 intensive care unit (ICU) beds, 92 sub-ICU beds, and 28 operating rooms. There are approximately 1,300,000 patients in the out-patient departments and 48,000 in the in-patient departments per year. Statistics for major surgical procedures included approximately 1,000 open heart surgery, 800 neurosurgery, and 40 renal transplantation each year. To improve the quality of medical services especially for complicated medical conditions and to provide excellent academic services, the hospital promotes interdisciplinary approaches and utilization of high-technology equipment.